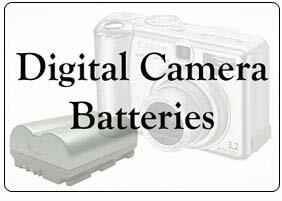 We carry replacement batteries and chargers for most digital cameras and camcorders. Use our "Battery Finder" to find the correct battery or battery charger for your camera/camcorder. When you buy rechargeable batteries, or get some with your camera, make sure you read the instructions that came with them. The most critical issue is whether there is some conditioning you should do when you first get them. For example, we've seen instructions to charge the batteries before you use them the first time, give them a chance to cool down, then charge them again, give them a chance to cool down again, and then charge them again. More common is the instruction to charge the camcorder battery and then run them completely into the ground before recharging at least the first two times, and in some cases the first three times, that you charge them. When you recharge your camcorder battery, you're using up a recharge cycle, and coming one cycle closer to not being able to recharge anymore. Lithium ion and lithium polymer batteries need very different treatment, and often come with instructions to charge the battery every chance you get. With no memory effect, there's no need to run them down, ever. Keep in mind, however, that the best way to maximize the battery's life varies even from one model to another. The rule remains: read the directions that comes with the product. Do make a point of storing your camcorder batteries in a cool, dry place at normal room temperature. Do make a point of giving your camera batteries a chance to cool down after recharging instead of popping them into your camera immediately. 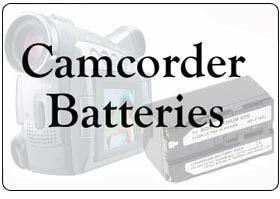 Don't leave camcorder batteries � or your camera with them in it � sitting in places like a hot car in direct sunlight for extended periods of time. Heat raises the self-discharge rate � and it isn't a good thing for the electronics inside your camera, either. Nor should you leave them sitting in places like a cold car in an unheated garage in the middle of a New England winter with temperatures at 17 degrees below zero. Cold also drains power quickly.